As we age, it can become more difficult to maintain routines and important daily habits. It can become harder to eat the right foods, stay up to date on doctor visits and make time for friends and family. Although, keeping these top five habits can improve the quality of life for senior citizens. Eat right: Filling your plate with colorful foods such as fruits and vegetables will ensure that your body gets the daily requirement of nutrients and vitamins. This could potentially fight off illnesses and diseases. It will also help you maintain weight and stay energized. Get enough sleep: It is a big misconception when some say that the older we get, the less sleep we need. As we get older, our sleeping patterns tend to change and it can become harder for us to fall and stay asleep. This can be because of medications, pain or illnesses, but getting enough sleep is vital for maintaining a healthy lifestyle in elderly adults. Stay active: Regular exercise not only helps lose or maintain weight, it also helps with balance, mental health and memory. Too much sitting around can lead to atrophied muscles as well as poor blood flow and troubled breathing. Socialize: Just as it is important for younger adults, socialization for elderly people is important for many reasons. These include: reduced stress, greater self-esteem and longer lifespan. 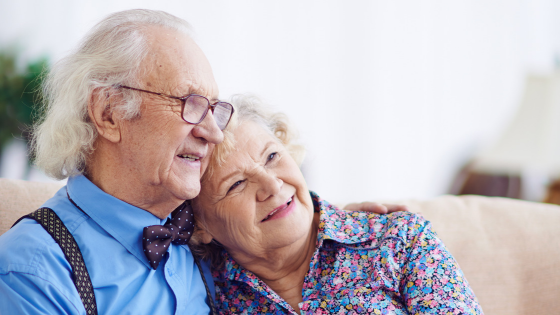 Organizing social activities, getting closer to your grandchildren and doing volunteer work are just a few of the many ways senior citizens can enhance their social life as they age. Physicals: Getting regular physicals can help get to the root of any underlying medical problems that senior citizens may look over. Regularly checking up on blood work, blood pressure, flexibility, height and weight can reduce any complications that you may have in the future.